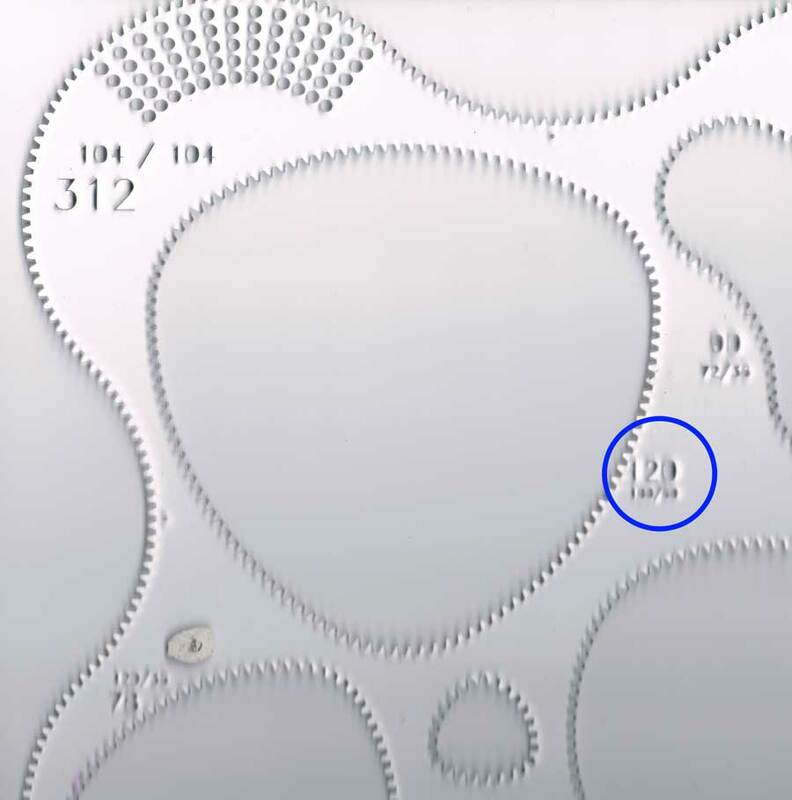 Holes in a row with gear 48, with outline using gear 24, in 120 triangle. A ring with 120 teeth gives a 5-pointed star with gear 48, and gear 24 gives a pentagonal pattern without any crossed lines. (See the math behind the number of points in a hypotrochoid.) These two gears can work well together, if you can find a 120 tooth ring. 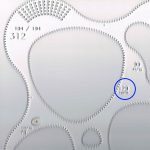 Wild Gears goes one better than that; its Strange Shapes set provides a triangular 120-toothed ring which can give you rather eccentric 5-pointed designs, as Aaron Bleackley (creator of Wild Gears) demonstrates in the video below. 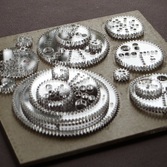 Further down, you’ll find a gallery of curious wonky designs I’ve made with these gears. 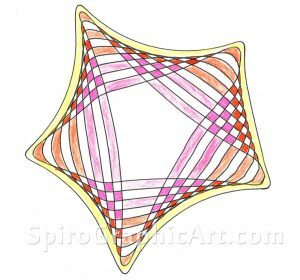 A 5-pointed star in a triangular frame can give a variety of shapes depending where on the triangle you start. Each has a different personality. If you imagine the 5-points are head, arms and legs, you can read a lot of expression into the designs. They’re a little lopsided, just like people. If you move the wheel one tooth over between each design, as Aaron did in the video, you get a different effect than when you keep them lined up. See the captions for each picture below. I’ve added color to them for yet more exuberance. You could make some cute Christmas stars with this set. I received my wild gear sets (full page and strange shapes for christmas from my husband) yesterday after 5 long weeks waiting as the german post has lost them somehow in between. But I LOVE them and every day waiting was worth it. So this will be a spirographic weekend. Awesome! Same sets that I have. I hope you’ll post about your experiences with it soon.